After more than a decade of manifesting fantasies into grown-up realities, Sretsis, continues to ignite the imagination and materialize dreams for every day. Creative Director, Pimdao Sukhahuta, continually celebrates the intellectual, off-kilter, and unabashed dreamers that over time have grown into rarefied women with unique taste, alluring attitude, and one-of-a-kind presence. Through the stories that are dreamed up each season, Sretsis thrives in storytelling through creating custom textiles, developing a unique vision, and reimagining classics with the ever-present tongue-in-cheek Sretsis twist. 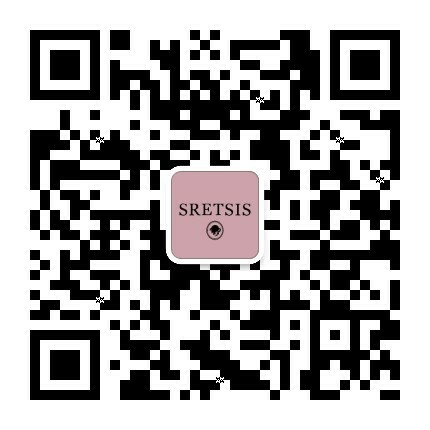 With the uncompromising attention to detail, constant quest of ingenuity, and meticulous level of quality, these defining factors have saturated into the core values that drives the Sretsis brand. Combining a regale antique library with a mischievous cabinet of curiosity as a heart of the flagship store story, Sretsis reads their creations as rare finds, and rightfully views them as pages to keep forever. Good books, like good clothes, are created to stand the test of time, and every revisitation brings forth new ideas and inspirations. Rushing past the busy crowd of Omotesando, into a charming alley in Aoyama, you will find this gleaming building of Neo-Deco wonder. Inspired by Victorian era Inns, where people from all cultures would stop along their journeys on to other destinations, Sretsis Inn serves as a rest stop for all travelers alike seeking the serenity of their own homes. Like stepping into your favorite hotel lobby, decorated with a velvet tête-à-tête sofa yearning for you to take a seat and spark up a conversation, checkerboard flooring, and dim lights; the ambience will offer you an escape from the busy world just a few steps away. Taking inspiration from our first international flagship, Sretsis Inn Aoyama, Sretsis Emporium gives an air of yesteryear hotels with gold accents, dark mahogany, marble, and signature pink woven carpeting. Entering through the revolving doors to find a wrought iron arch lobby area decorated bellboy trolleys, concierge desk, and game room complete with a functional claw machine waiting to service your every whim. Inspired by the Fall – Winter 2017 exhibition, Sretsis Paragon boutique concept represents a showcase installation. With archways, the retail’s past and future, seamlessly blending into a unilateral vision of a retail space that reflects the redefining of Sretsis. Sretsis Parlour is a dream manifestation of a cozy den used to entertain friends and family. A rendezvous for like-minded souls to converse over tea and cakes. This is the place where one can experience living the Sretsis Fantasy with confectioneries, savory snacks, drinks, music, and home decor all made in Sretsis Universe. Little Sister, founded by Matina Sukhahuta the littlest sister and co-founder of Sretsis, opens its inaugural flagship store under the concept of a fun-filled Play House straight out of every girl’s dreams complete with a surreal oversized doll house. Little Sister, made for little sisters by a little sister.